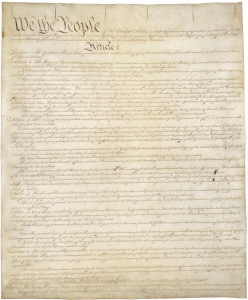 With these two fundamentally opposing views, how then did the U.S. Constitution ever come to be? The answer I would like to propose is a simple matter of marketing. My contention is, the Federalists just did a better job of marketing their stance. They realized sooner they would need to convince the general public, they got the word out faster and generally just out maneuvered the Anti-Federalists. We will examine first the delegates to the Constitutional Convention, then the volume, timing and location of the writings and debates following the Convention on through the ratification process.